The perfect place to shop like a local, the market is a fresh food haven! Gorge through the fabulous meat, seafood and other fresh food restaurants after you shop for luxury products like Argan oil. A good place to buy clothes for a low cost, the market is a local and tourist favourite. 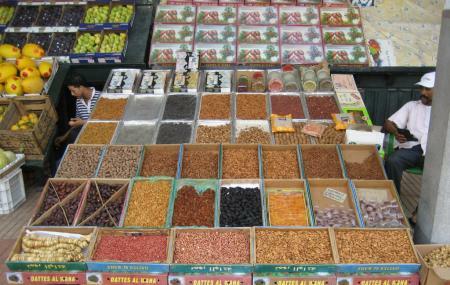 The market is known for its Argan Oil. Do buy a couple of bottles for loved ones. Check prices before paying for your lunch when you dine at one of the restaurants here to avoid overpaying. How popular is Marche Central? People normally club together Square Of Mohammed V and Notre Dame De Lourdes while planning their visit to Marche Central.